As a child, I always wanted to see a Moon Rock. There’s just something fascinating about the moon and outer space. 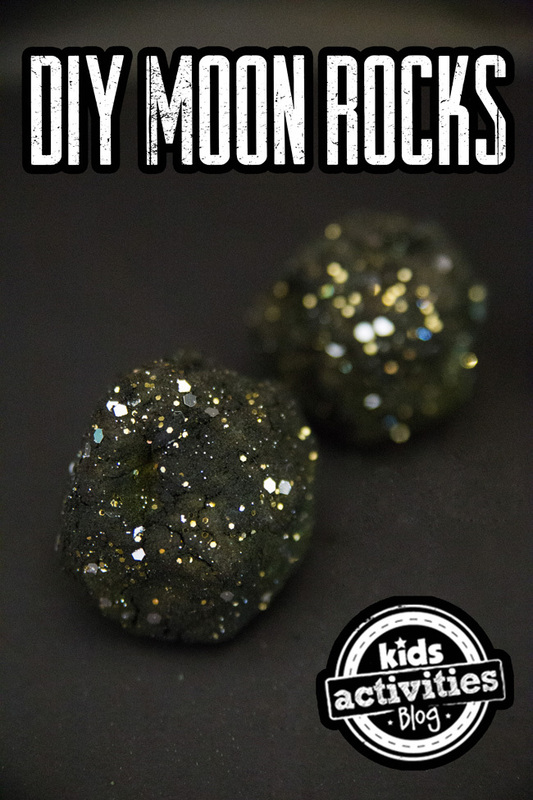 So when my son started asking questions about that big ol’ rock in the sky, I decided to make our own version with these DIY Moon Rocks. This easy play recipe takes some Moon Sand and adds a bit more moisture to make it moldable to form into rocks. 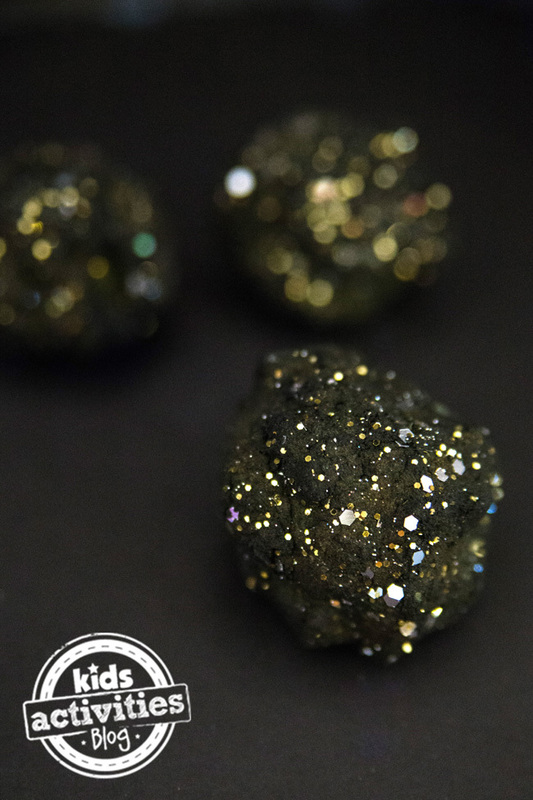 We made them black with some shiny glitter to simulate the sun reflecting off the surface of the moon. In a large plastic bin, mix together the baking soda and water. Add lots of glitter and some food coloring and stir together. 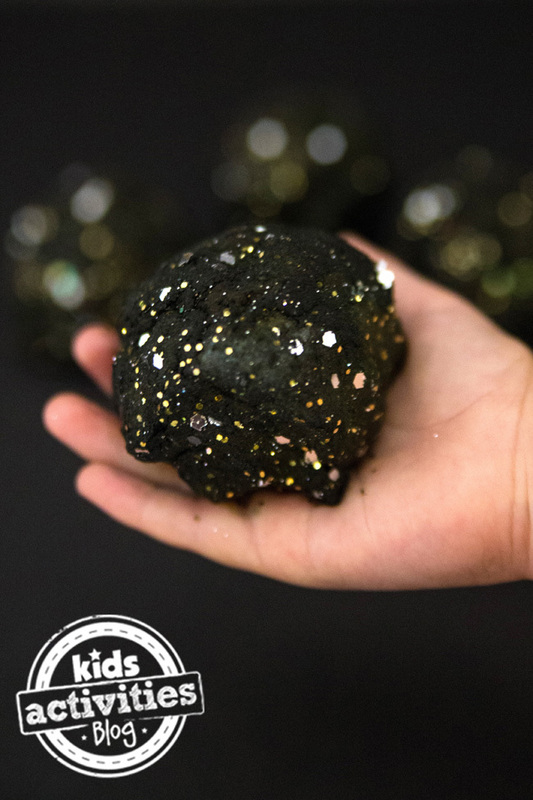 You can let your kids explore this easy Moon Sand for a bit (warning: their hands will get messy because of the food coloring! ), or you can go right to making your rocks. Mold the sand with your hand to shape it into rocks. We pressed our fingers into it to form craters on the surface. The rocks will be brittle, but kids will love examining them! They’re much prettier than the Moon Rocks retrieved by astronauts aboard the six landing Apollo missions. Those rocks are stored at the Lyndon B. Johnson Space Center in Houston, Texas. My son loved learning about the rocks, and how they have to be kept in Nitrogen so that they won’t get moisture. We talked about how adding moisture to the Moon Rocks would change their composition and cause them to fall apart. We even tried adding some water to our own DIY Moon Rocks! Now that you’ve made Moon Rocks, share photos with us on our Facebook page. 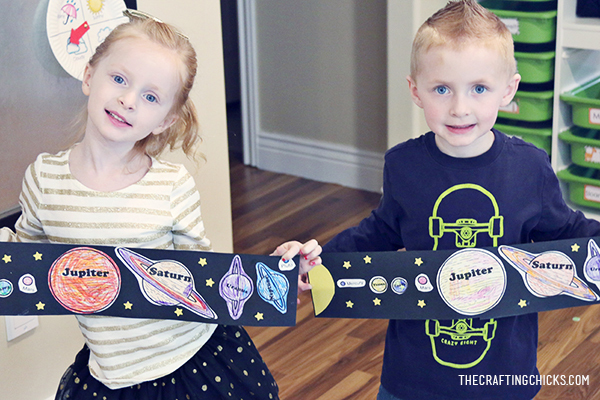 Then, head over to our blog for even more space activities for kids! Hi, mine keeps coming out green when I mix all the ingredients together. What could I be doing wrong? How many moon rocks does one recipe make? It would just depend on how big they are. You could possibly make 3-5 or so. Thanks! How hard are the rocks? Can you crack them with a rubber mallet. I mircrowaved play dough moon rocks and put a red heart jewel (for Jesus) in the middles. I am going to use them for VBS. My rocks won’t form, they keep crumbling. I added more water, but they’re not holding together enough to stay in shape to dry. Any suggestions? Oh man. I’ve never had that happen. Let me see what I can figure out for you.